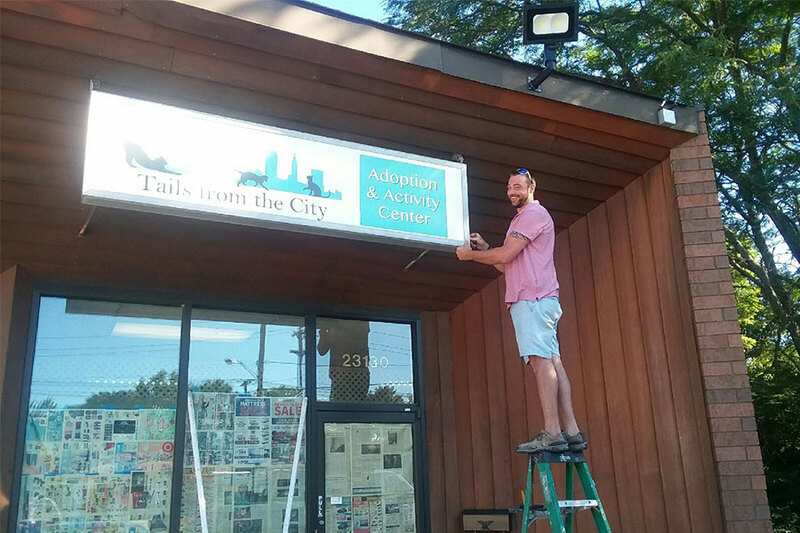 Tails From The City opened our Adoption and Activity Center in North Olmsted in July 2018. 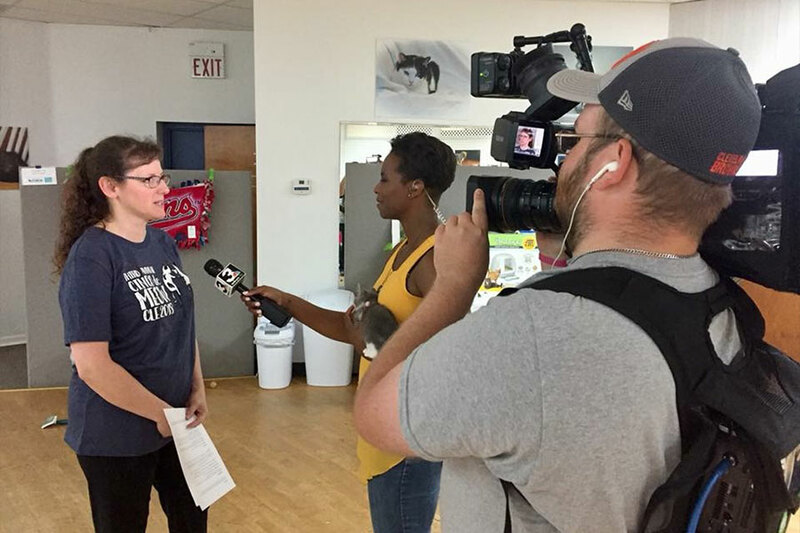 What once was a dance studio has become a place where people can stop in to meet a potential new feline family member, purchase fun items from our re-Tails section, or attend one of the many activities that are held at this location. The adoption center has 7 cages where adoptable kitties spend weekends hoping to meet their forever families. We are only open on weekends, but hope to increase our public hours when we have more volunteers to help (since we are an all-volunteer organization with no paid employees). 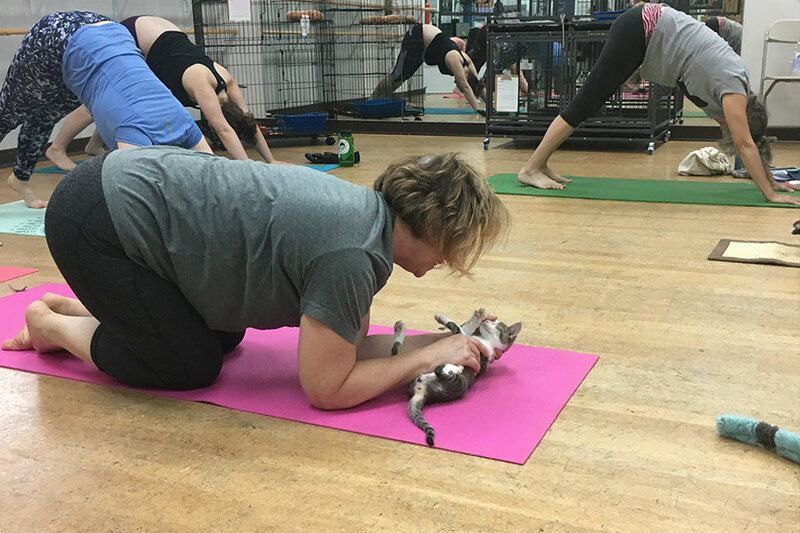 We also host many events, such as cat yoga and kitten kindergarten, as well as seminars and lectures covering topics related to litterbox issues, TNR, why not to declaw, and how to clicker train your cat. It is difficult to find a resource in Northeast Ohio when you have a question/concern/issue about your feline, and Tails wants to be a place people can go to learn, share and increase their knowledge by talking to and relating with other kitty owners. 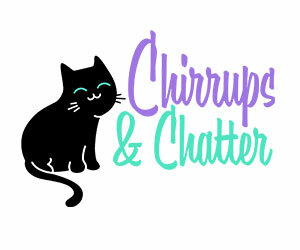 We collaborate with a certified cat behaviorist, Tabitha Kucera of Chirrups and Chatter, to be able to provide the best and most accurate and up-to-date information available. Stop in and visit us during our normal business hours or check our calendar and sign up for one (or many) of our activities! If you love cats, you will love our Adoption and Activity Center!